Both were cut and color. 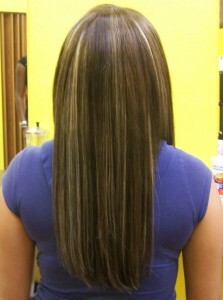 The second also had highlights and lowlights. © Copyright 2006-2019 Maxie Unisex Salon. All Rights Reserved.